I rarely read memoir, but I believe I need to read this one. Thanks for sharing the the Mary Oliver quote. I’d never heard it, but I love it. And, yes, that’s a beautiful book trailer. Linda, definitely read this one. The poem is from Oliver’s book, Evidence. It is a good trailer with impressive blurbs. I love the image of Dani on the beach and how her child led her to her memoir. We’ve had similar issues in our mixed faith family. I haven’t read her memoirs, but I very much enjoyed her novel Black and White. 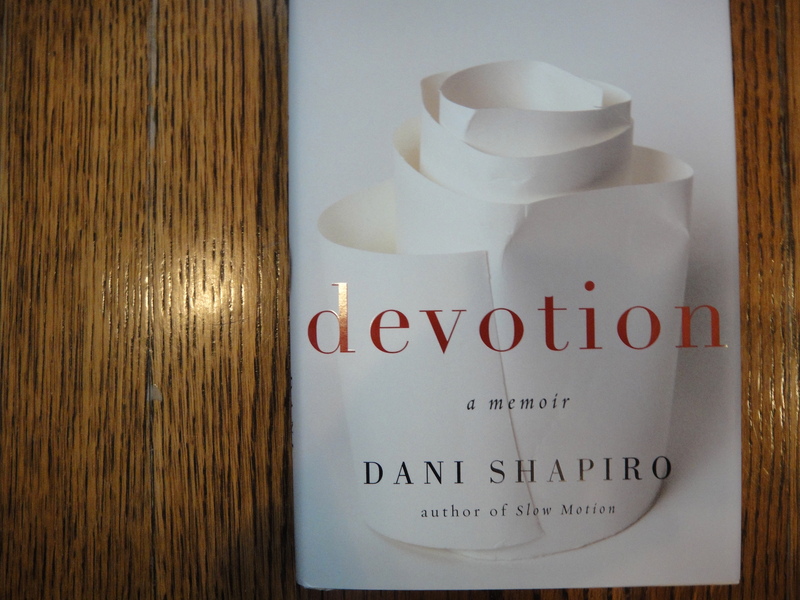 Sarah, I also recommend Slow Motion but Devotion is a completely different type of memoir–one that opens rather than closes and one that continues rather than ends. Yes, come chat with us that night! I’m in the middle of Devotion now. Actually, think I’m step away from the computer now to read it… Enjoyed your reflections. Thanks for taking the time to comment, Alexis. I enjoyed your interview with Dani and hate that I’ll be on a plane during the chat. A fun coincidence. I’ll check out her post now. I do know Alexis from Twitter, but I’ve never done a twitchat. Thanks for the link, Kayla. Well, I love to read memoirs and enjoyed the book trailer. It was simply beautiful. 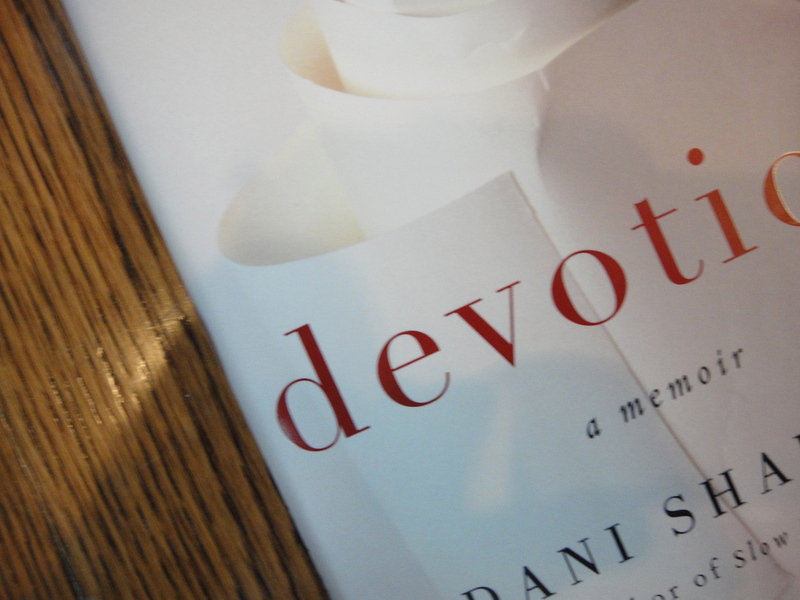 So now I’m off to order Devotion, so I can read it before her Twitter chat. Thank you owlandsparrow for the information. And thank you, Cynthia, my dear friend. …and you’re writing a memoir! Darrelyn, thanks for your comment. I think you will love Devotion. 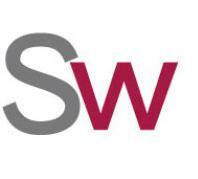 Cindy, you do such a beautiful, amazing job with this blog. I just love it, even when you’re not writing about my wife. Thanks, Michael. Now I feel bad I didn’t give you proper credit for the wonderful book trailer. Too bad my speakers are not connected now (we just moved the computer). Well, Jennifer, the video is worth coming back for after you get your speakers connected! I love this quote. Thanks for posting it. I love that quote too, Katherine. It’s from Virginia Woolf’s A Writer’s Diary, her entry on Saturday, September 5th, 1925.